The Norwin Board of Education has nine members who are elected at-large by the citizens of the township of North Huntingdon, as well as the boroughs of Irwin and North Irwin. School Board members serve four-year terms of office. Elected School Directors are not paid for their services. The School Board is a policy-making body whose primary function is to formulate and evaluate policies necessary for the cost-effective and efficient operations of the School District. An Administrative Leadership Team that works within the scope of the existing school board policies manages the School District. 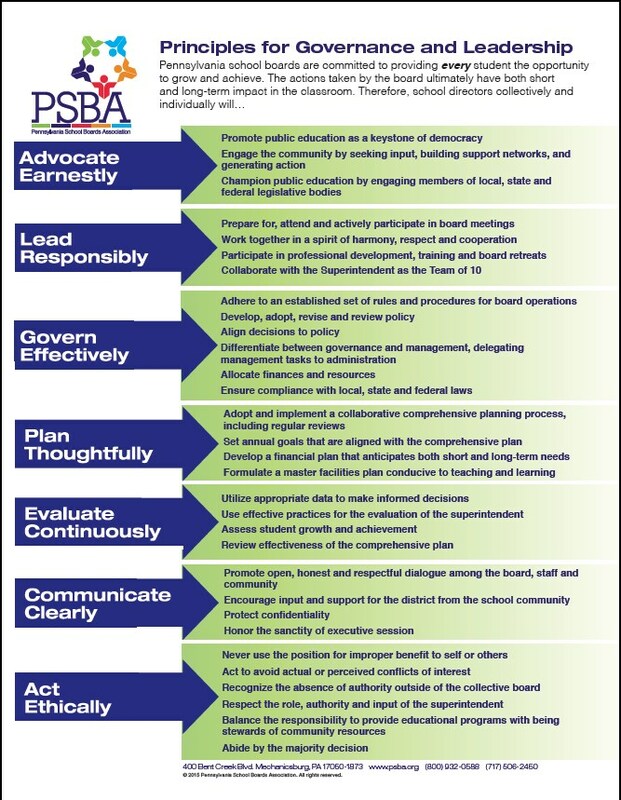 The Board of Education has adopted the Principles for Governance and Leadership as provided by the Pennsylvania School Boards Association, shown below.